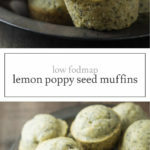 Filled with fresh citrusy flavor, these Low FODMAP Lemon Poppy Seed Muffins are a scrumptious way to enjoy a sweet treat! 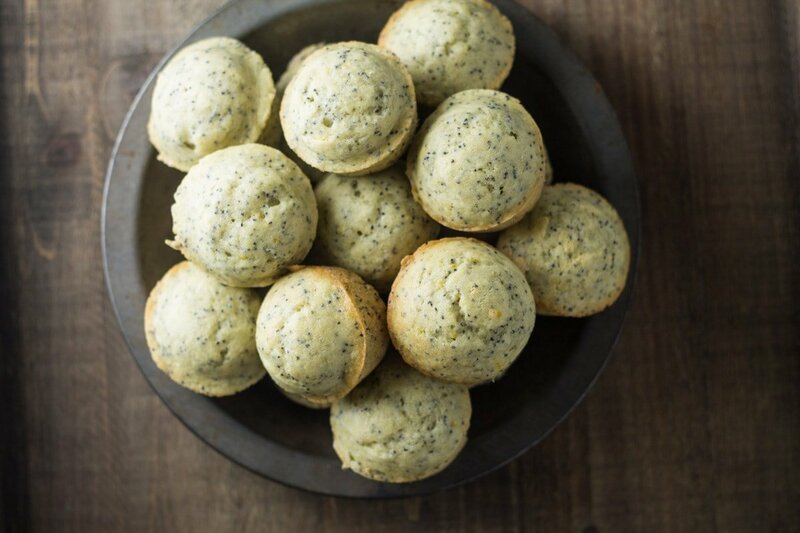 Perfect for welcoming spring, these mini muffins (You can make regular-sized ones, too!) 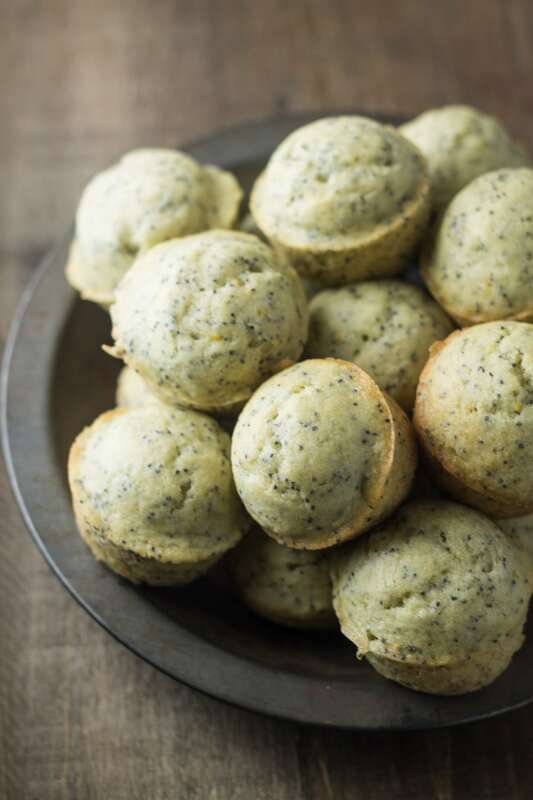 are filled with the classic flavor combination of refreshing lemon and nutty poppy seed. They’re not overly sweet, so enjoy them for a special breakfast, brunch or dessert! Preheat oven to 350°F. Grease or line a muffin tin. 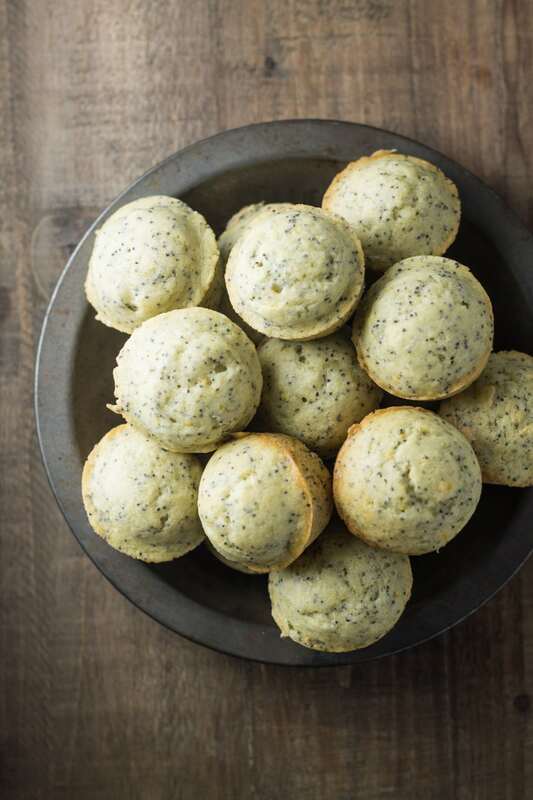 In a medium bowl, mix together flour, baking powder, baking soda, salt, sugar, poppy seeds and zest. Set aside. In a large bowl, whisk together lemon juice, milk, eggs and olive oil. Add dry ingredients and stir until just mixed. Spoon into muffin cups. Bake for 15-20 minutes or until a toothpick inserted into the center comes out clean. Serve. I wanted to make a loaf of common daily bread, so I used the basics of this recipe minus the lemon and poppy seeds to make it. It came out great. A recipe for ordinary bread has been hard for me to find. As an extra question, do you know approximately how much xanthan gum is in the 22oz bag of Bob’s 1 to 1 flour mix? doesn’t have to be totally accurate, just an approximation to start with if I want to put together a similar mix? Just give it a guess! I made it just as the recipe states. (I do have extra light tasting olive oil). It was delicious! Even my husband who is not Low FODMAP loves them. Thanks! I’ve made these a few times and they are always a hit! Today I left out the poppy seeds and added some blueberries instead and they were a-mazing! Thanks for the wonderful recipe! These look delicious! I cannot have eggs though. What would you recommend as an alternative? These were great! Used canola oil. My only compliant was the lemon taste wasn’t very strong, I’ll be adding more zest and juice next time! Thanks for the feedback, Sarah! I made these and used vegetable oil. They are great! Yay! Glad you like them! Vegetable oil is a great substitute. I made these for my daughter who has frustose Malabsorption…they were easy to make, just confused as to why so much olive oil??? They taste like olive oil after they are baked…..
Hi Julie, thanks for the comment! I personally prefer to use olive oil in baking – it’s a heart-healthy fat and I tend to always have it on hand. When I am baking I use “extra light” (not just extra virgin) olive oil. This is key because it has less of a pronounced “olive oil” flavor. If you still think the extra light olive oil tastes too much like olive oil, you can substitute vegetable oil or canola oil. 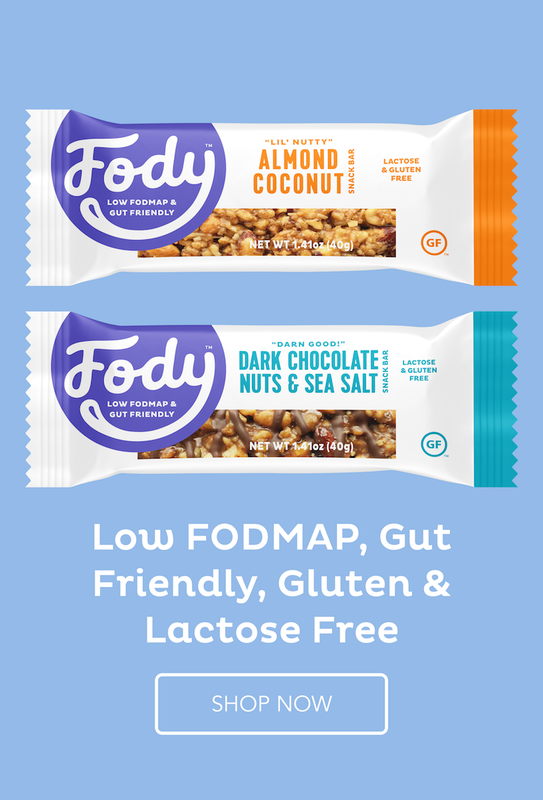 Both should not contain FODMAPs (or fructose). Just made these for the first time, using rice bran oil. They are DELICIOUS! Thank you for the recipe. That’s a great substitution! Thank you for sharing, Lorraine! hi just wanted to know if your receipes are fructose friendly also and do you have a book with receipes in it. 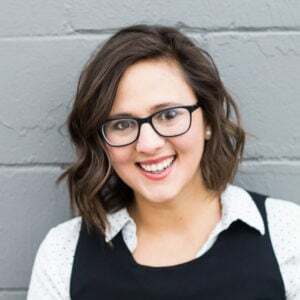 Hi Kerryn! Thanks for stopping by. My recipes are made without “excess fructose”, so they are not completely fructose free, but contain fructose in amounts that shouldn’t be problematic for most people with IBS. No book (yet 🙂 ), however, I am working on a printable ebook with recipes that should be ready in July.